The Ladies of the WPA: Elizabeth McCraw | slate river ramblings . . . . The January 18th post about “The Ladies of the WPA” resulted in a comment about Elizabeth McCraw. To my knowledge, on her survey reports, she always signed her name Elizabeth McCraw of Andersonville. She never used a middle initial. Interestingly, her co-worker, Rosa Williams, signed her reports with a variety of variations of her name. Is the Elizabeth E. McCraw of Andersonville the Elizabeth McCraw who was a fieldworker for the Virginia Historical Inventory? If so, then she was Miss McCraw. Did she ever marry? 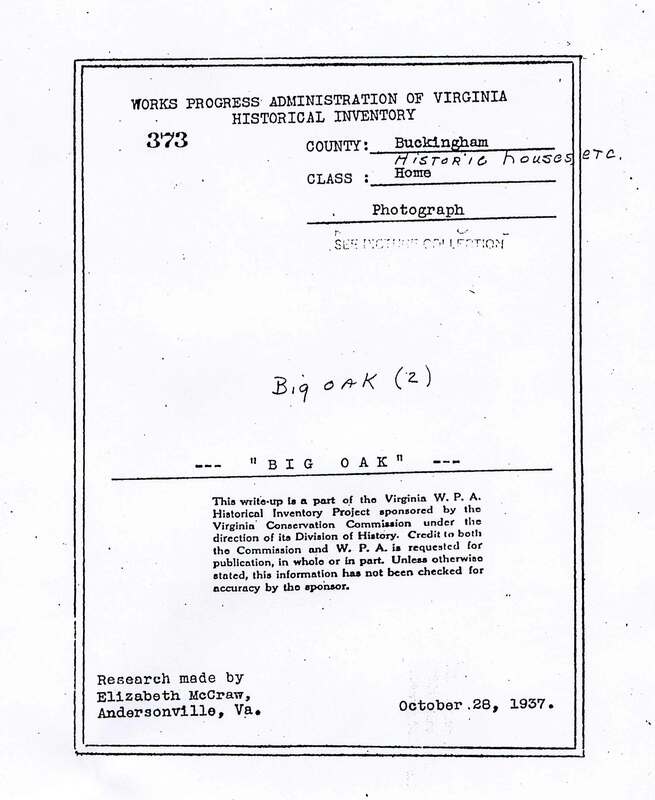 Note: To explore the Virginia History Inventory online, visit the Library of Virginia at www.lva.virginia.gov.